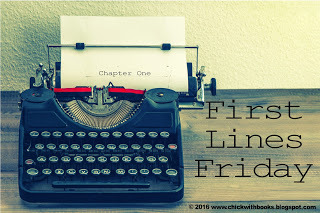 "My story begins on a sweltering August night, in a place I will never set eyes upon. The room takes life only in my imaginings. It is large most days when I conjure it. The walls are white and clean, the bed linens crisp as a fallen leaf. The private suite has the very finest of everything. Outside, the breeze is weary, and the cicadas throb in the tall trees, their verdant hiding places just below the window frames. The screen sway inward as the attic fan rattles overhead, pulling at wet air that has no desire to be moved. " Sisters and secrets and a girl who loves reading makes me want to read this. 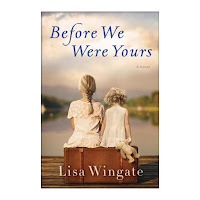 I enjoy historical fiction and Lisa Wingate brings us together with a "tale based on the true story of Georgia Tann, a director of an adoption agency, who kidnapped and sold children to the wealthy."